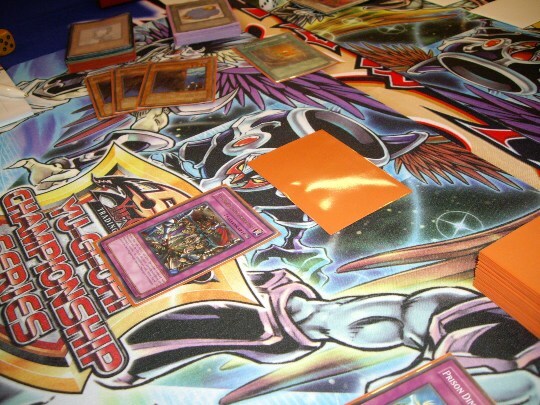 The Finals of the Yu-Gi-Oh! Championship Series’ Main Event is certainly the highlight of the weekend, however, we still got more in store for you! 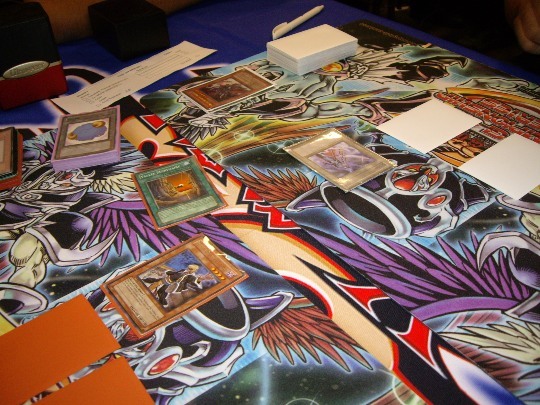 We welcomed Thomas Cavaliere and Michel Co to our Feature Match table, the two finalists of the YCS Trial tournament! Cavaliere won the die roll and opted to go first. Thomas Cavaliere had a real shot at winning a free trip to the next YCS! He activated Necrovalley and Set a Monster together with 2 Spell or Trap Cards. Co simply Set a Spell or Trap Card. Cavaliere flipped Gravekeeper's Commandant. He attacked with it, Co activated Mystical Space Typhoon to destroy Cavaliere’s Set Royal Oppression, the attack succeeded and Gorz the Emissary of Darkness came down. In Main Phase 2, Cavaliere Normal Summoned Gravekeeper's Descendant and he Tributed Gravekeeper's Commandant to get rid of Gorz the Emissary of Darkness. He Set a Spell or Trap Card and ended. The powerful Field Spell Card Necrovalley turned all Gravekeepers into fight machines! Co simply Set 2 Spells or Traps. Cavaliere had another face-down Spell or Trap Card of his own and his Gravekeeper's Descendant was switched to Defense Position. Co took a little longer to consider his options, eventually, he activated Gateway of the Six, followed it up with Six Samurai United and he then Normal Summoned Hand of the Six Samurai. Solemn Warning foiled that plan, but Co wasn’t done just yet. He switched his Gorz the Emissary of Darkness Token to Attack Position, destroying Gravekeeper's Descendant in battle. He Set a fifth Spell or Trap Card and ended. Gravekeeper's Stele brought back Gravekeeper's Commandant and Gravekeeper's Descendant. Gravekeeper's Commandant was Summoned and traded with the Token. Co drew into Legendary Six Samurai - Kizan. 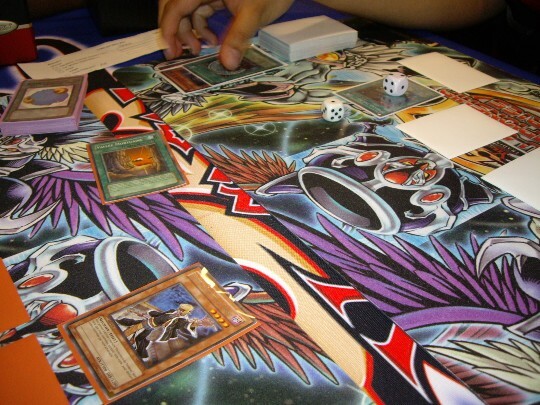 He Summoned it to the field, adding counters to Six Samurai United and Gateway of the Six. He attacked directly, dealing 1800 points of damage. Pot of Duality revealed Dark Hole, Seven Tools of the Bandit and Gravekeeper's Recruiter. Cavaliere picked the counter trap, he Summoned Gravekeeper's Descendant to the field and attacked over Legendary Six Samurai - Kizan. He Set a Spell or Trap Card and passed. United leaves the field so Co could draw a new card! Six Samurai United left the field so Co could draw a second card in his turn. He then used Shien's Smoke Signal for The Six Samurai - Yaichi, Summoned it (intending to use it on Seven Tools of the Bandit I presume), but Cavaliere had Solemn Judgment. Co passed without any other actions. Cavaliere Normal Summoned Gravekeeper's Commandant. Both of his monsters attacked directly and both attacks succeeded. He Tributed Gravekeeper's Commandant for the effect of Gravekeeper's Descendant, destroying Gateway of the Six. Co simply Set a monster. After checking his Extra Deck, Cavaliere Normal Summoned Blackwing - Gale the Whirlwind. Gravekeeper's Descendant destroyed the Set Kagemusha of the Six Samurai in battle and Blackwing - Gale the Whirlwind dealt 1300 damage with a direct attack. Both monsters were Tuned in Main Phase 2 to Blackwing Armor Master. Co Set a Monster Card. Cavaliere Summoned Gravekeeper's Spy and Co shuffled up his cards, he had nothing to stop the following attacks. 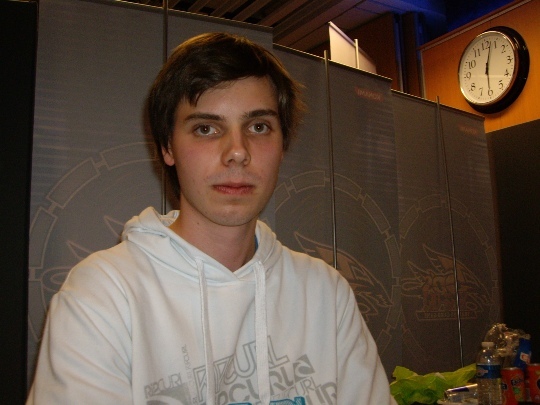 Thomas Cavaliere is only 1 Win away from a free trip to the next YCS! The raw power of some Gravekeepers, juiced up by Necrovalley, was enough for Thomas Cavaliere to win the first Duel. Co needed to dig through his Side Deck to come up with some answers. Michel Co had to win 2 Duels in a row now! Co opted to go first; he Set a monster and 4 Spells or Traps and was done with his turn. Cavaliere had Necrovalley again, he Set a monster and 2 Spells or Traps and passed his turn. Co flipped a Nobleman of Crossout he had Set in his Spell and Trap Card Zone on the first turn. He hit Gravekeeper's Spy and all copies were stripped of Cavaliere’s Deck. Both players were allowed to check their opponent’s Decks, so they now knew which cards had been sided in. Gravekeeper's Descendant was Summoned, but met his master with Dimensional Prison. Co passed. Cavaliere simply Set a monster. Co used Shien's Smoke Signal to search his Deck for Kagemusha of the Six Samurai, adding it to his hand. He Normal Summoned it, Flip Summoned Legendary Six Samurai - Kageki and together they were Tuned to Legendary Six Samurai - Shi En! Royal Oppression dealt with the Synchro Monster! Royal Oppression dealt with that threat immediately! Play was back to Cavaliere after Co Set another Spell or Trap Card. Pot of Duality found him Kinetic Soldier. He flipped his face-down monster, revealing it to be yet another Kinetic Soldier. He attacked directly, Set a monster and passed. Co performed no actions on his following turn. Cavaliere Flip Summoned Gravekeeper's Descendant and attacked with both of his monsters. Co flipped Mirror Force! Cavaliere Set a monster and passed. Nothing happened on the following turn. Cavaliere flipped Kinetic Soldier and attacked directly. He added a third face-down Spell or Trap Card. Co played Closed Forest and passed. Cavaliere now Summoned Gravekeeper's Recruiter. He attacked with both of his monsters directly and passed his turn. Co activated Gateway of the Six and Summoned The Six Samurai - Yaichi. Cavaliere negated the Summon with Solemn Judgment. Cavaliere had a third Kinetic Soldier! Co clearly wasn’t happy, checked his face-down cards and extended his hand! Thomas Cavaliere is your YCS Trial Winner! Asked about where he would like to fly to, Cavaliere immediately replied: “Spain! 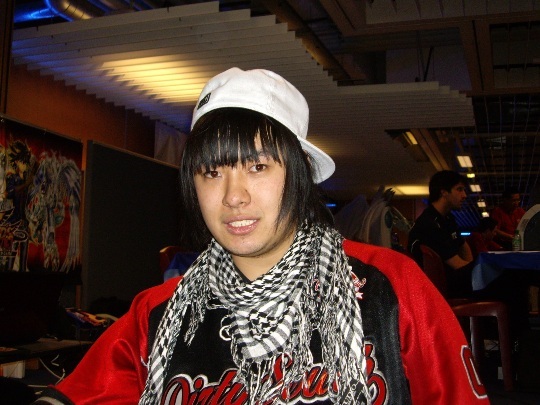 I love it!” However, given the fact that the European Championship will be held in Spain, it didn’t seem too likely that we would see a YCS there too soon. Cavaliere’s next best choice was Greece, as it’s another country known for its beautiful summers! 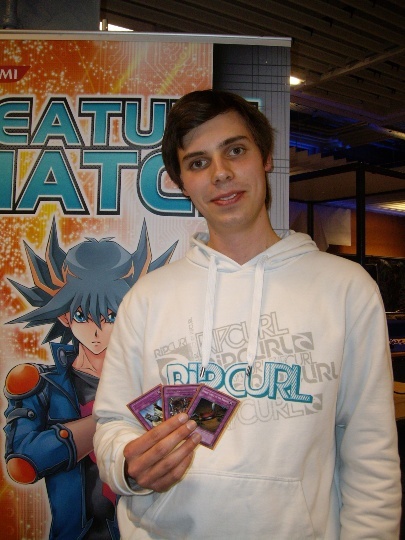 Thomas Cavaliere won a free trip to the next European YCS!